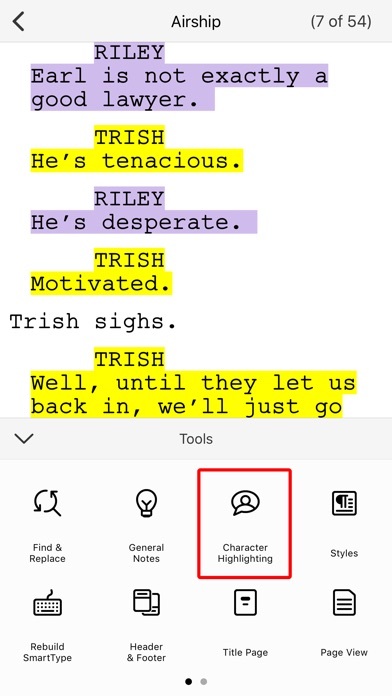 The makers of Final Draft – the #1-selling screenwriting software in the world – now bring you the Final Draft Writer™ app for iPad and iPhone. 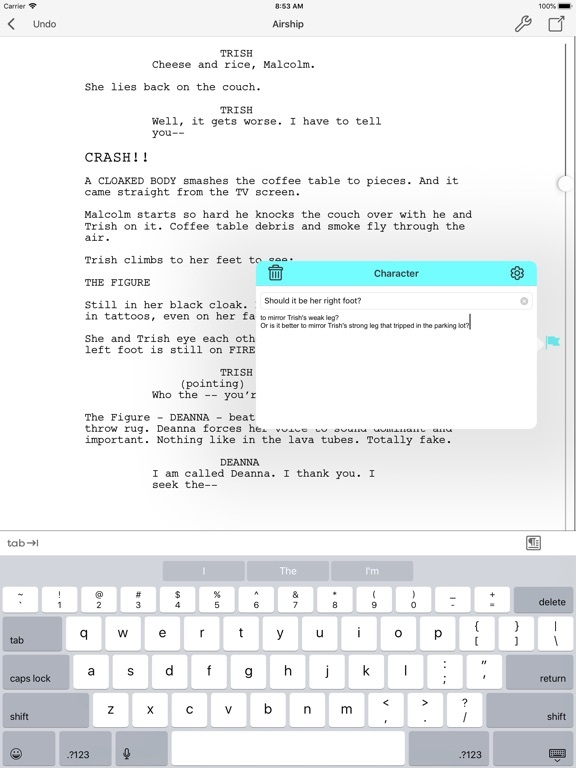 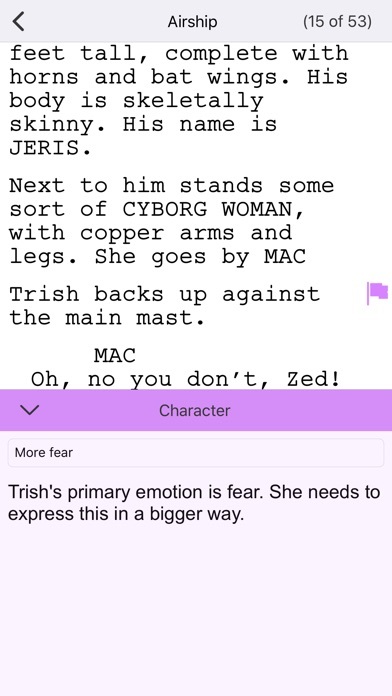 Final Draft Writer lets you write, edit and read Final Draft scripts on your iPad or iPhone. 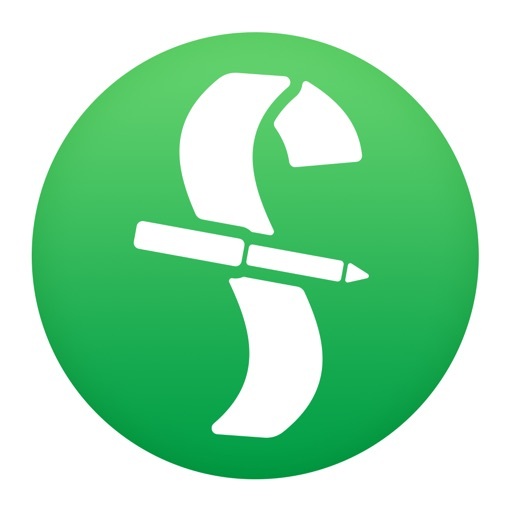 Create new scripts or edit existing ones with easy-to-use features such as Tab and Enter navigation, ScriptNotes™, SmartType™, and more. 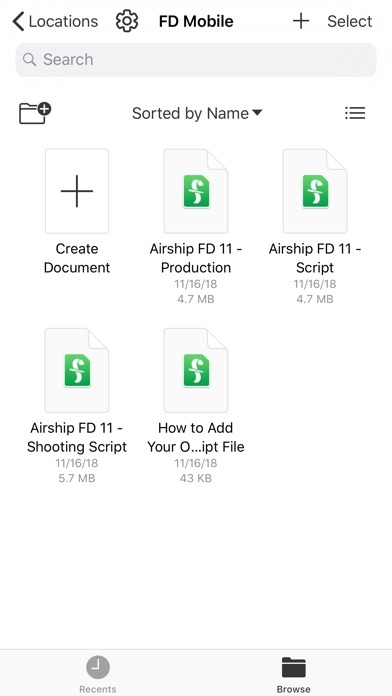 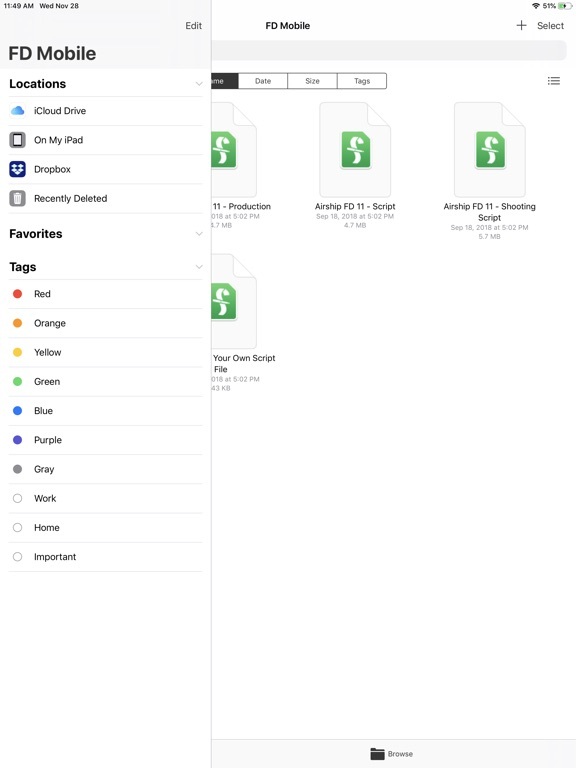 Easily move your Final Draft 9 scripts from desktop to iPad or iPhone and back again via email or Dropbox. 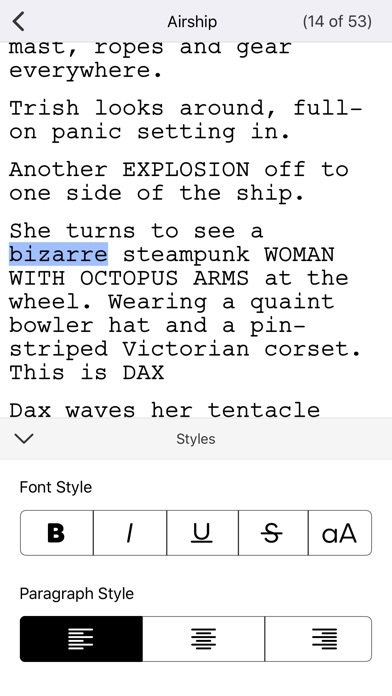 Your scripts will appear perfectly paginated and formatted to industry standards every time.